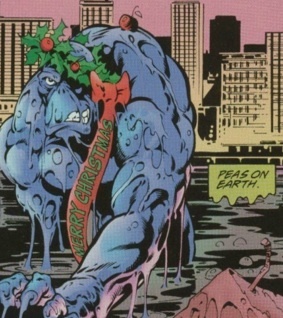 Merry Christmas & “Peas” on Earth from Sludge! 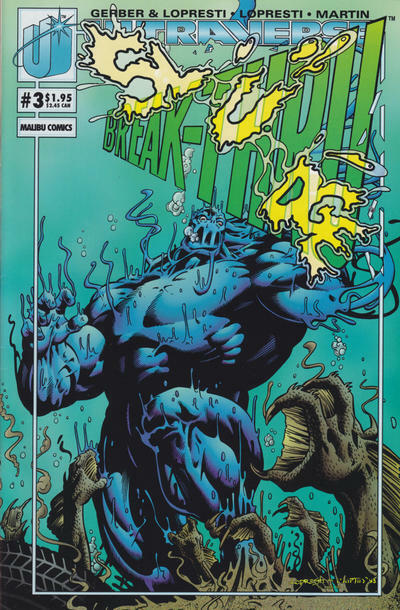 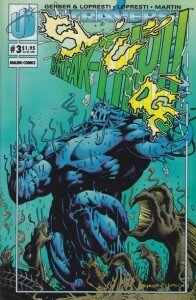 Break-Thru was a December event and took place at Christmas, but there was another Christmas special from the Ultraverse! 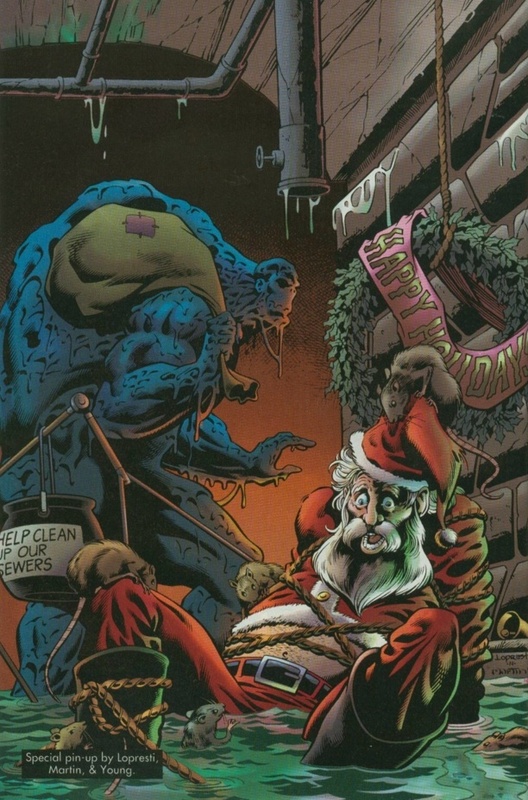 Sludge: Red X-Mas was Steve Gerber’s Christmas gift to Sludge fans — the final Sludge comic book issue to hit stands. 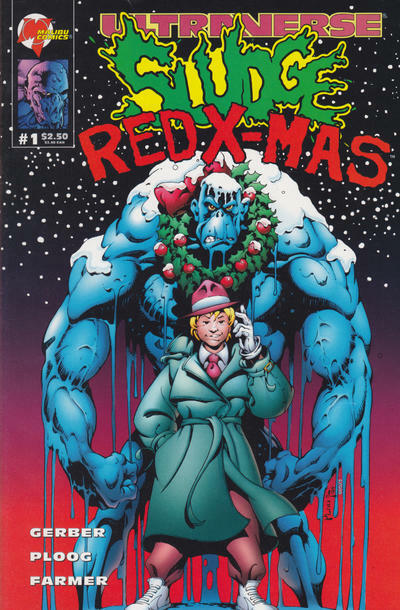 There was also a full page Christmas pin up by Sluge co-creator Aaron Lopresti! 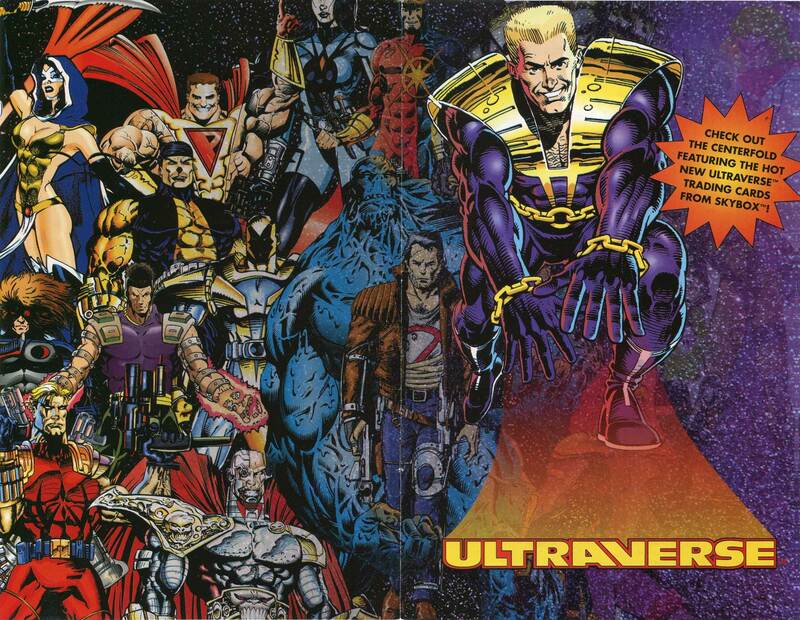 Merry Christmas from the Ultraverse Network! 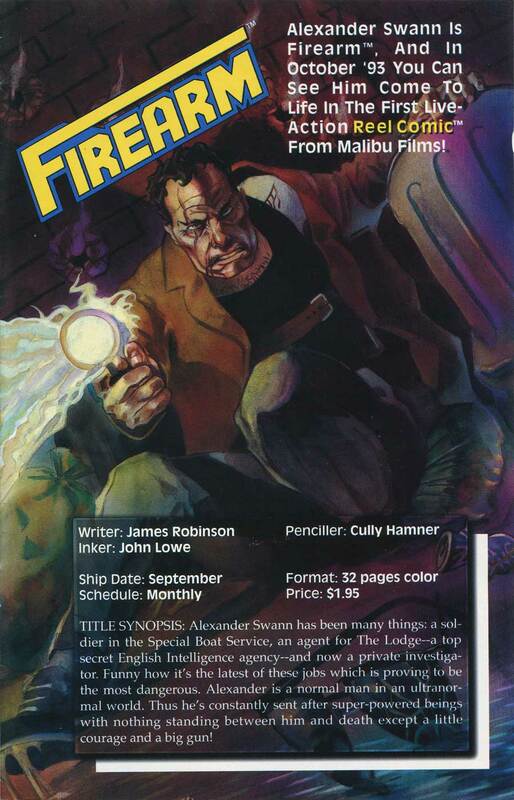 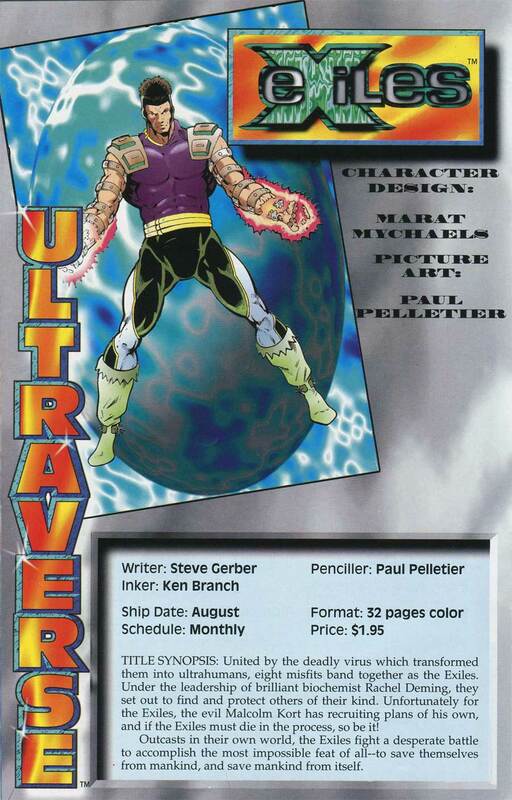 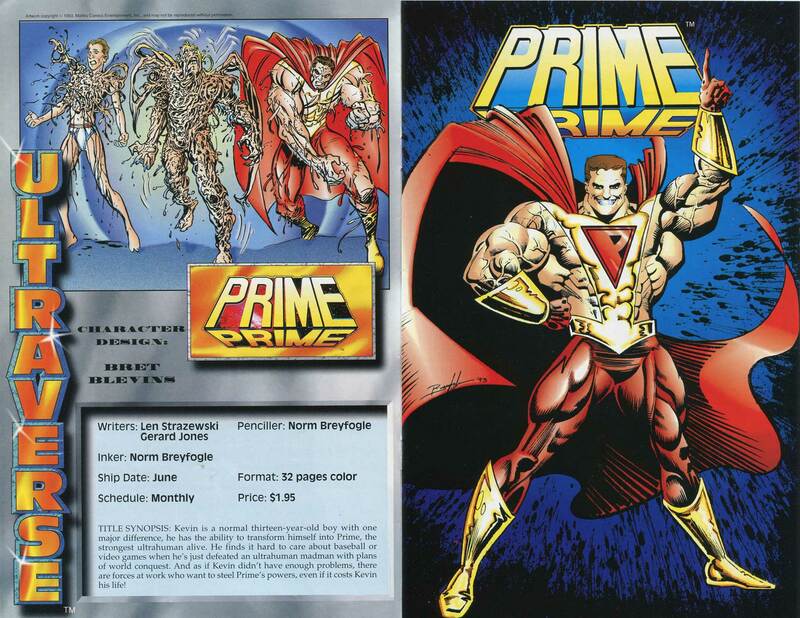 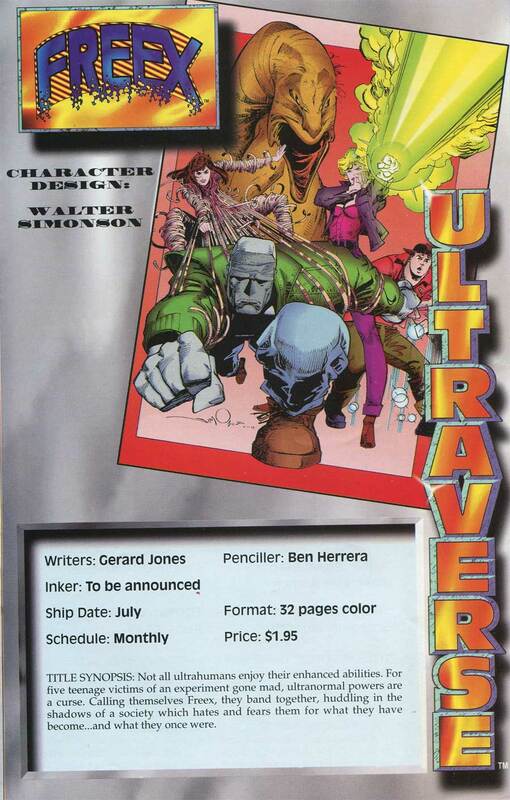 Prior to release of the first Ultraverse comics, Malibu distributed a free giveaway featuring previews of upcoming titles. 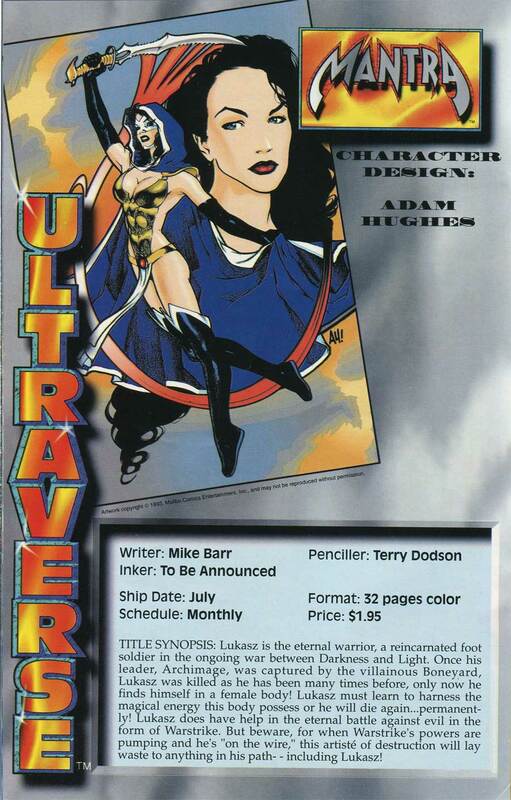 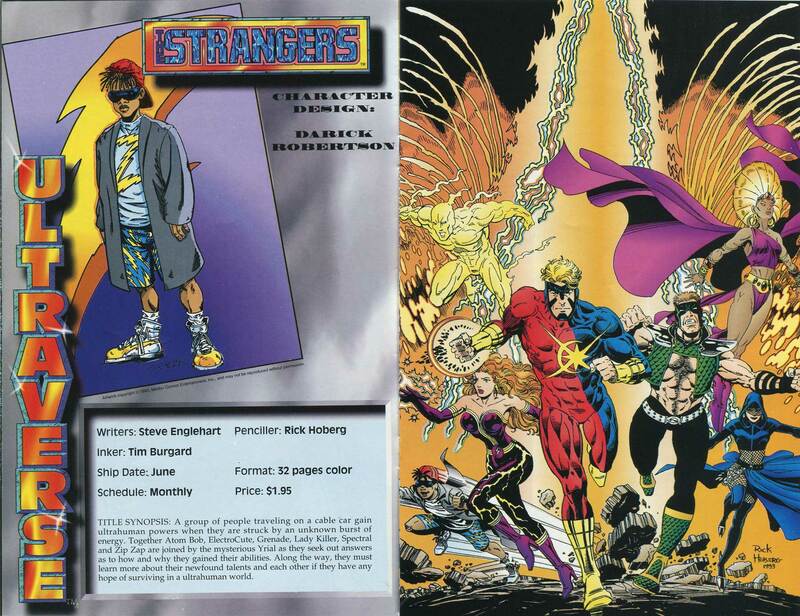 This giveaway, referred to as “Countdown to Ultraverse,” featured profiles on the first several series. 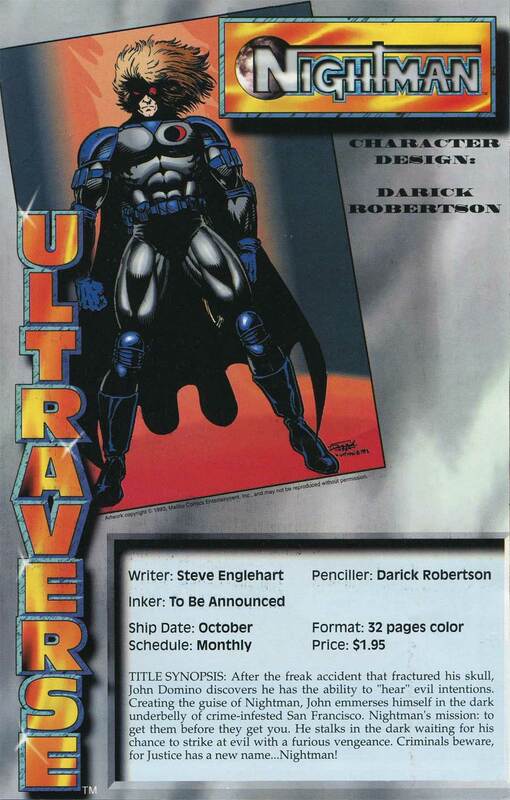 With our Ultraverse Network officially launching tomorrow, this seems the ideal time to refresh everyone’s memory of those early days! 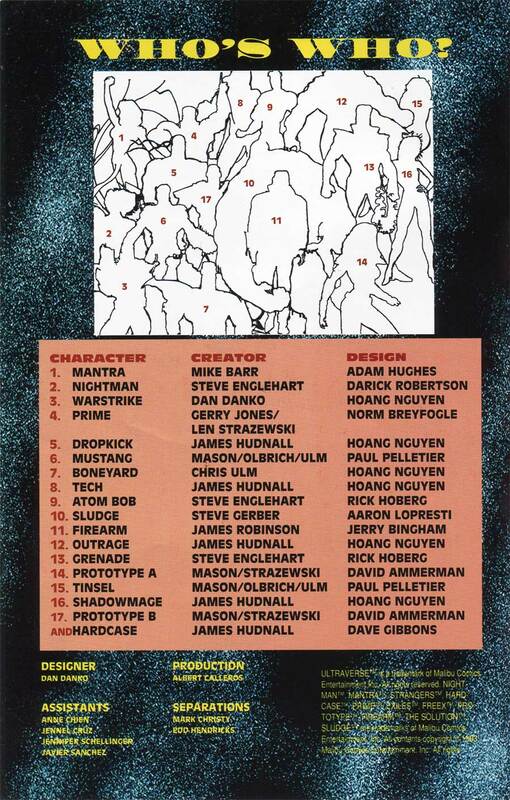 We won’t make a habit of sharing an entire comic, however, this particular issue was free and for promotions. 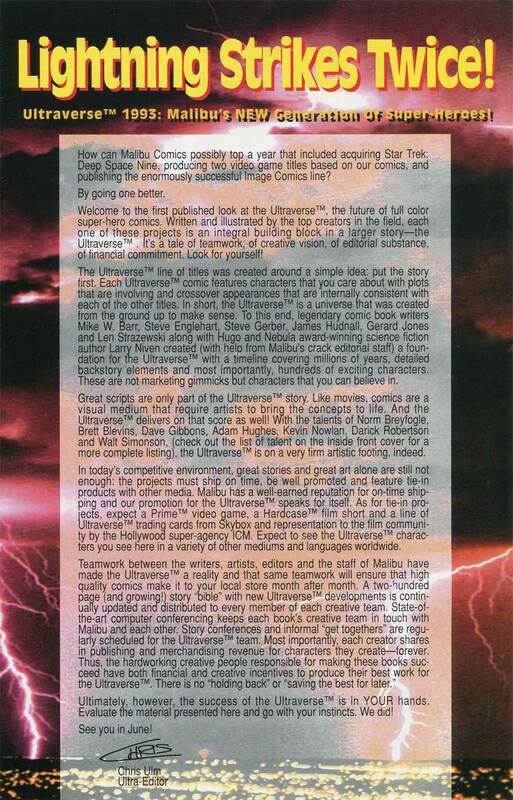 Click the images below to enlarge. 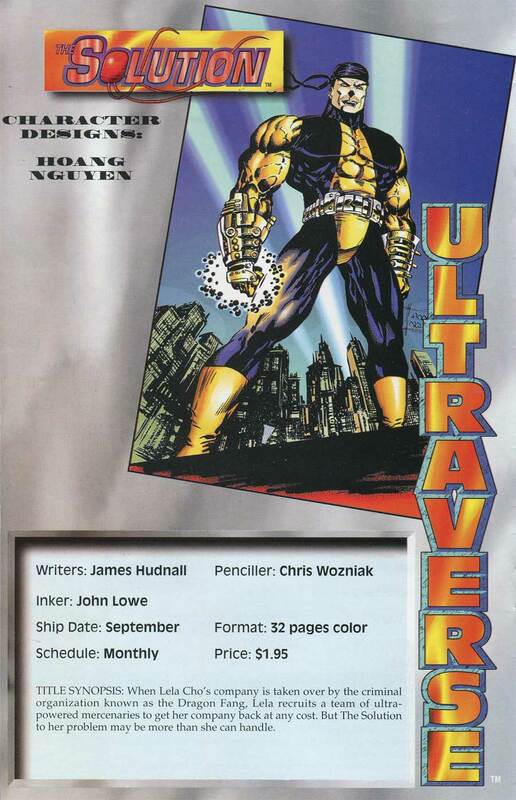 Interestingly enough, there were three slightly different versions of, “Countdown to Ultraverse.” In addition to the cover above there was another version with the same artwork, except Hardcase is yelling, “Catch”. 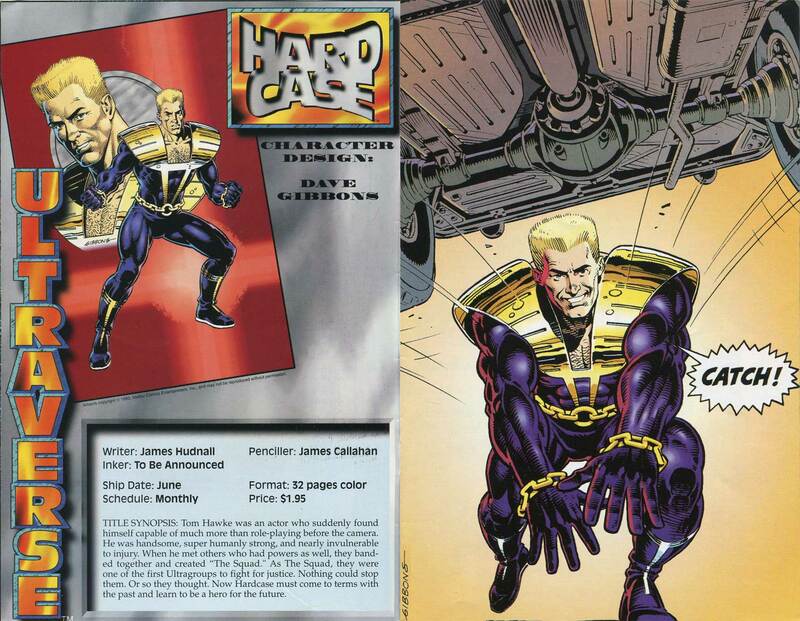 In the third variant, Hardcase is still yelling “Catch”, but there are serial numbers appearing in the top right corner. 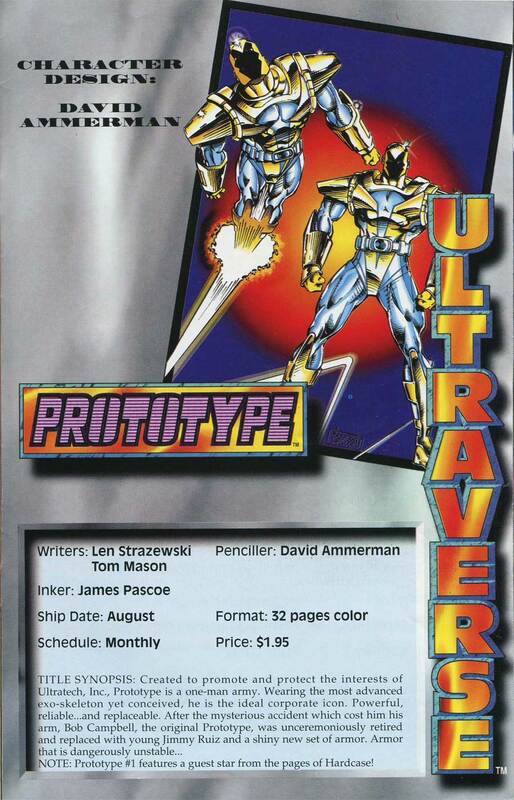 Since this particular version promoted the first trading card series, I’ve included the advertisement appearing within this giveaway! 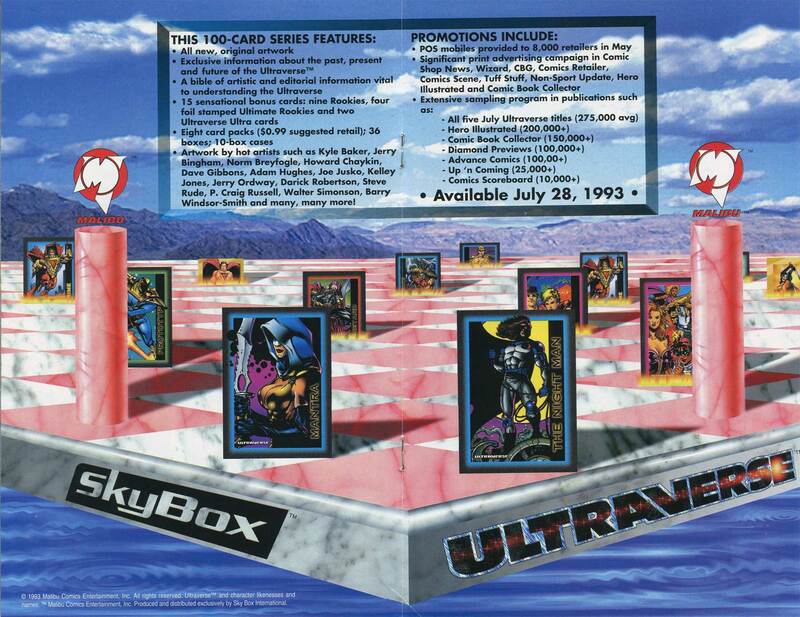 Such great promotional material! 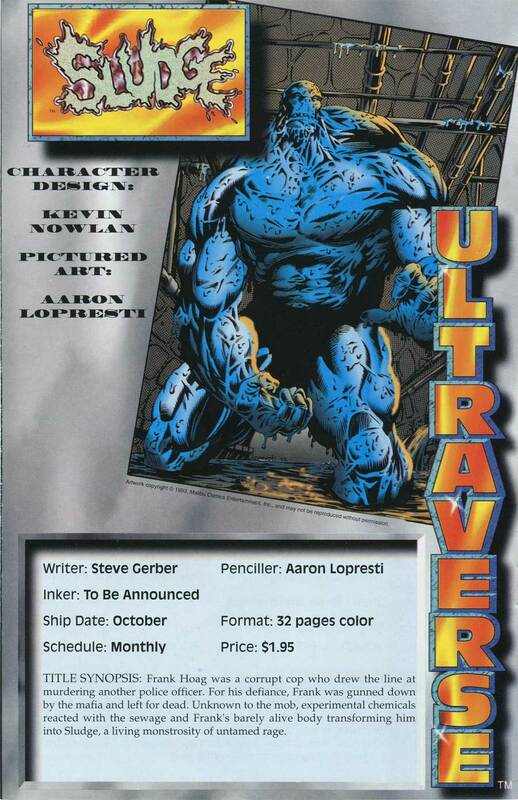 An excellent way to generate hype for the Ultraverse! 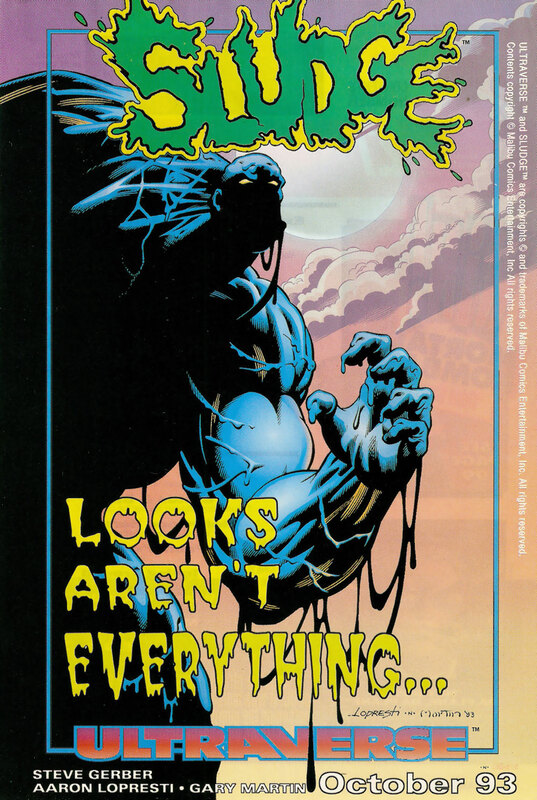 Be sure to check back here tomorrow for the launch of our network, and the release of our first podcast!